Business SMS | Business Text Messaging "
Enhance your company’s telecommunications by taking advantage of our SMS feature. Business text messaging is offered as a part of all-inclusive premium PBX phone service features with every phone plan. Send and receive messages from both your personal and business contact lists. Send messages to multiple groups, departments, and individuals. Receive your messages on your business number. Therefore, you don’t have to give out your personal phone number. Block unwanted texts and spam. Forward message to email, url or any other phone number. How to set up voicemail on the phone? How to set up call queue on the phone? Can I try your Business Phone Service for Free? What is Business SMS ? Cebod Telecom’s SMS is a new feature provided to all our business phone service customers. With cell phones becoming one of the world’s most used technological innovations in communications, it makes sense that businesses take advantage of its capabilities. 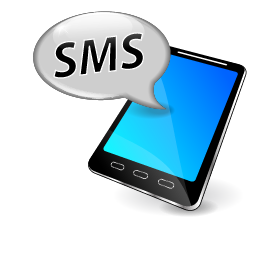 Our SMS features allows you to have access to unlimited outbound and inbound text messages. No, our Business SMS features unlimited text messages. I am an existing customer. How do I add Business SMS to my current plan? You can sign into your account online and add it to your account or you can call our toll free number. I am not a customer yet? Can I get Business SMS? Once you have a business number with us, you will have the option of activating or deactivating the Business SMS feature. Can Business SMS be used on my toll free number? Yes, we offer this feature to toll free and local phone numbers. Can I send or receive pictures and video through this service? No. Our SMS feature supports the use of text only messaging. Can I send or receive text messages to or from international numbers? At this time, we only support SMS messages for USA and Canadian phone numbers. Can I Disable the SMS Feature? Yes. You can disable this feature in the Account Manager setting. You can only disable this feature if you are an authorized account manager.